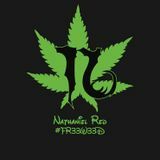 Nathaniel Red has been producing and mixing since 2010. Notorious for his love of live female vocals, hypnotic melodies, and heavy bass, he drops virtually any genre of EDM from Dubstep to Glitch Hop. Nathaniel has participated in some of the most notable local events in Houston and Austin and worked with artists such as DJ Shiftee, Oscillator Z, Crnkn, and Kit Likwid. He is dedicated to his music, and actively involved in the EDM community as well as being a true DIY artist. He has participated in hundreds of shows, ranging from house parties and improv jam outs to larger scale events like Euphoria Music Festival and Mad Hatters Teaparty. Nathaniel uses his knowledge and feel for the vibe to create unique, and quality experiences of mesmerizing music becoming the local underground favorite. His current project, Wasted Youth EP is currently in production and expected to be released in late 2014.